As you know, we have been covering the The Association for Asian Studies and the International Convention of Asia Scholars joint conference in Honolulu via Twitter and the Facebook page, and as mentioned in the previous post. Day one was eventful, to say the least, and resulted in an almost 16 hour day. It's late, and tomorrow is going to be another early, and long day, so I just wanted to limit this first post to probably the most unforgettable seminar of the day - How often do you get to witness a fistfight at an academic conference? David Neilson, University of Oregon: Self-Published History: the case of the Bukôyawa. Wow. I don’t even know where to begin with this one, so I’ll get cut to the chase. Madness broke out at the conference. This was one of the late breaking panels that was only announced in a handout given when we registered, but I blew off another panel I planned to attend in order to make room for it. I was looking forward to hearing Neilson speak and getting his opinions on the Shinchoki/Shinchokoki debate. I got way more than I bargained for. Neilson gave a decent talk, and if you’ve read his thesis that’s been covered on the discussion board before, nothing very new was in it—he mostly discusses the criticism the Bukoyawa has received from certain areas, primarily Fujimoto Masayuki. Just like in the thesis, he pretty much tears up Fujimoto as a pseudo-academic, but there wasn’t much different than what he had already written. Next was Matsuoka, and it was interesting, but not part of the good stuff, so I’ll cover that in more detail later. I have more important things to cover in my limited time now. So, the main event, so to speak: Oshima. Wow. The other members of the Samurai Archives staff can chime in with his input when he gets a chance, but this was easily the highlight of the day for me. Bottom line: There apparently was (is?) a secret cult that centered around Nobunaga. Followers/worshipers of Nobunaga, some of whom were in his inner circle, were part of his contingent at the Honno-ji when he was attacked by Akechi Mitsuhide. These devoted followers actually spirited Nobunaga’s body away, and hid it in a remote temple, location unknown. Much has been made of the statements by Luis Frois ascribing self-deification to Nobunaga, but it really hasn’t been taken seriously by academics. Oshima claims that not only did Nobunaga proclaim himself a god, but that this group of devoted followers developed into a cult of Nobunaga, and after his death kept his remains in this secret location as holy relics. The cult included some very well known figures—Sassa Narimasa and Takigawa Kazumasa are two positively identified, and Oshima alleges a connection to Shibata Katsuie. Also prominent are the Maeno and Hachisuka clans, the focus of the Bukoyawa. 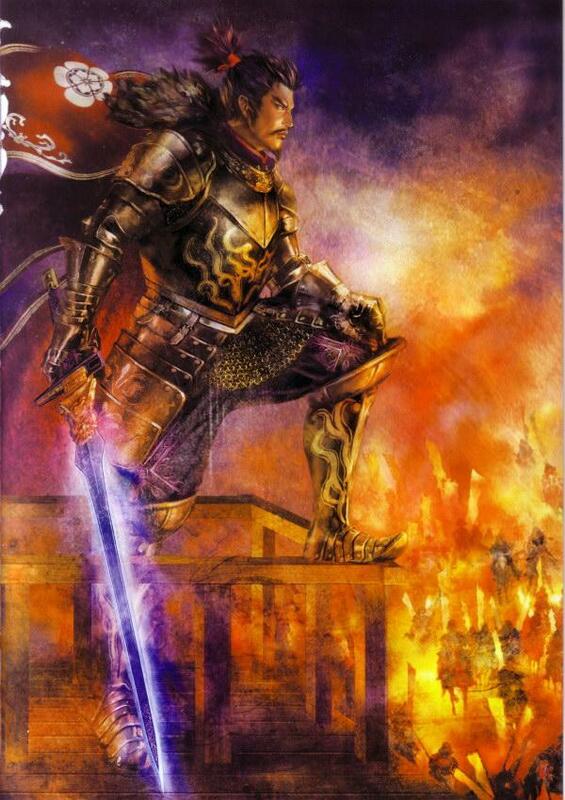 Supposedly, with the destruction of Shibata at Shizugatake, the Nobunaga cult went underground, as Toyotomi Hideyoshi became the ultimate power. 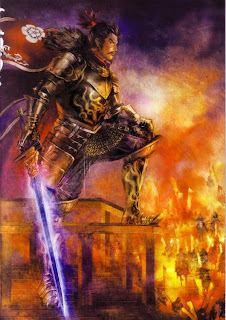 Open worship of Nobunaga became an act of defiance against the Toyotomi and later Tokugawa governments, and was suppressed with just as much fervor as the persecution of Christians was pursued later. In fact, Oshima claims that this was the real reason that Sassa Narimasa was eventually ordered to death by Hideyoshi. Oshima claims that this “Kakure Nobunaga” cult continued on in the mountains of Gifu to this day, and the influence of the cult ideas can be seen in modern representations of Nobunaga as an evil demon in games, manga, etc. This representation is the pop culture manifestation of Nobunaga as a “vengeful spirit” returning to wreak havoc on his enemies. I’d think this was total bunk, but Oshima actually made a pretty good case for it. His “proof” draws heavily on Inoue’s theories about the Shinchoki, Shinchokoki, and Bukoyawa being complementary texts. When I first heard this theory through Neilson’s thesis, I thought it was insane. Oshima makes the case that Ota Gyuuichi is Nobunaga’s St. Paul: the Shinchokoki, Shinchoki, and Bukoyawa are the religious texts of the Nobunaga cult. As Inoue theorized, the three accounts are intentionally misleading/mistaken in parts in order to throw off the anti-Nobunaga cult Tokugawa authorities. Certain passages are written in code that gives clues to which other passages in one book mesh with passages in another. The Bukoyawa serves as a kind of concordance/key to illuminate which chapters in the Shinchoki and Shinchokoki contain the hidden information. It gets better: the Kano school of artists was part of the cult as well, and clues to the location of the hidden tomb of Nobunaga can be found by reading the coded passages in the Bukoyawa and matching it up with certain paintings by Kano Eitoku and his successors. It’s late and I’ve got to get a few hours of sleep before I get up to go back to the conference tomorrow, so I’ll try to get to the details later after I sort through my notes. We haven’t even gotten to the best part yet. this is the ambulance that took Oshima to the Hospital. from getting even more violent, but Fujimoto got in a punch on Oshima before he was pulled apart from him. Security had to be called in and three rather large Polynesian security types escorted Fujimoto out. The moderator decided to close things down at that point, but everyone left wondering what the hell had just happened. Unfortunately, this meant that we didn’t get to ask any questions about this theory, but I’ll be trying to do some research and see what else we can find. We have more meetings over the next few days, so maybe I can find Dr. Oshima and get some questions in. All in all, an interesting conference so far. I didn’t think I’d be playing war correspondent, but hey, at least I’m not falling asleep. Wow. Geez. That's probably the most excitement I've ever (not) seen at a conference. To go to actual physical blows. Kinda sad I missed this. I hope the rest of the conference can still be engaging... after such an exciting start, it might be hard to keep things going. I can't wait to hear more about this. Amazing, exciting stuff. Lulz. This is what happens when they schedule a conference on April 1st.